LIMITED VIEW ONLY! CALL (513) 621-ARTS (2787) TO PURCHASE! Black Violin is composed of classically-trained violist, Wil B., and violinist, Kev Marcus, who combine their classical training and hip-hop influences to create a distinctive multi-genre sound that is often described as “classical boom.” Black Violin has shared stages with top names including Kanye West, Aerosmith and Tom Petty, and has creatively collaborated with the likes of Wu-Tang Clan, Wyclef Jean and Alicia Keys. The duo composed music for the television series Pitch which debuted on FOX in 2016, and has appeared on HBO’s Ballers, The Tonight Show, The Wendy Williams Show, The Kate TV, and The Ellen Show. 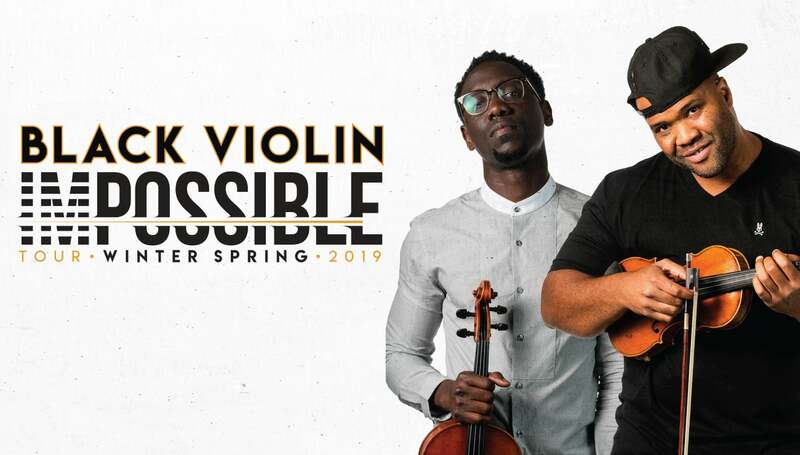 In addition, Black Violin has performed for more than 100,000 students in the past twelve months throughout North America and Europe.